My Great Uncle Joe Zsadany created the Original Red Sauce in Hialeah Florida during the 1940’s after serving in World War II. 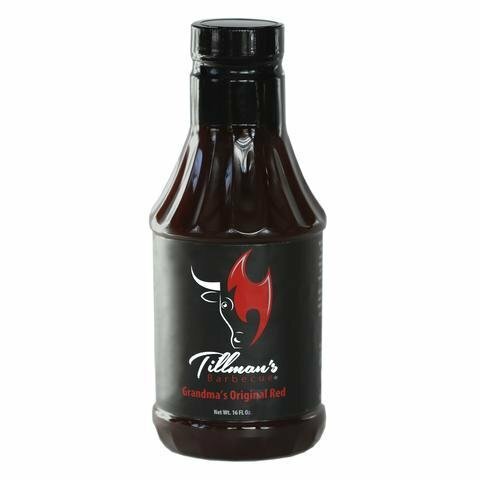 The sauce recipe has been enjoyed by our family and friends for generations. I began making the sauce when my grandmother Ann Carol Nelson and my father Tillman Lee Nelson Jr taught me the recipe. After a few tweaks to accommodate the judges at BBQ competitions I was left with both a family legacy and a competition style BBQ sauce. Grandma’s Original Red BBQ Sauce is a southern style sweet and tangy sauce. We use this sauce on everything! Chicken nuggets, meatballs, taco’s etc. Mix with Mayo to make a bbq aioli!